We met many people who walked the Camino alone or with friends, often leaving a spouse at home. And I get that. A long trek like this doesn’t appeal to everyone. But walking the Camino as a couple brings a whole different level of experience. The unbroken time gave us a new language of shared stories an experience that most couples in the midstream of their marriages (we celebrated our 14th anniversary on the Meseta of Spain) don’t get. It unfolded a whole new perspective on the world, history, people, and ourselves that we could share. No, we weren’t always blissfully happy together, and we had our share of sharp conversations and exasperated silences. But in the end, it made us better partners and better friends. Hamming it up at Finisterre, 79 days after we began. You both have to want to go. 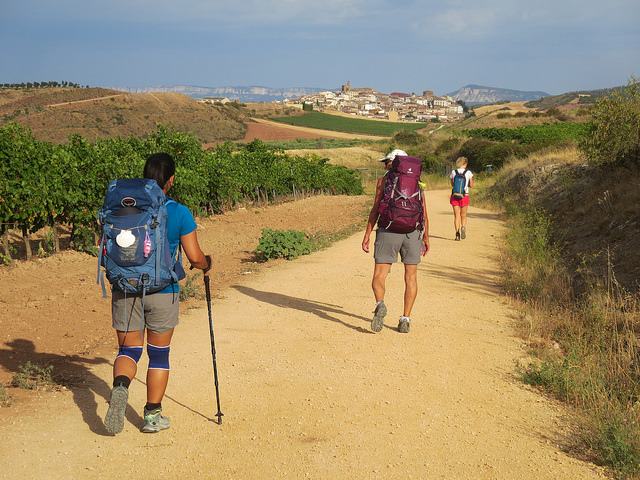 Long distance hiking, even with all of the creature comforts of the Camino (read: real beds and daily showers), is a physical, mental, and emotional challenge, and it would be a million times harder if you were walking with someone who didn’t want to be there. The Camino was something that Eric and I would have each chosen to do on our own. You have to be friends. There was a day in Spain, almost 70 days into our walk, when Eric and I were walking together with no one else around. We were bantering about something, and I distinctly remember thinking about how grateful I was that after so much time, we still had things to talk about. But that’s also us. We always have things to talk about. Just because we walked the Camino together doesn’t mean we were actually walking together every minute of the day. Eric’s natural pace is faster than mine, especially in hilly regions, and so he tended to go ahead for an hour or two at a time, and then wait for me to catch up. We walked alone, or with other people we met along the way. When we got to our destination, we sometimes explored together and sometimes split up. It was important, we discovered, not to get too insular or cut ourselves off from others, and to follow our individual interests and paces. You’ll have a different kind of marriage. The shared experience of exploring new places, meeting new people, and overcoming obstacles (from physical mountains to language barriers) together bonded us more than ever. But at the same time, we were sleeping in bunk beds in shared dorms and living constantly surrounded by other people. One Camino friend knew us for two days before he even realized we were married. “You never hug each other or kiss!” he said. But that kind of physical affection would have felt odd when we were surrounded by so many other people. A long distance walk builds a different kind of intimacy. What about you? If you walked the Camino as a couple, what did you learn? What advice would you give to other couples considering an adventure like this? My husband and I love walking together. He is faster than me but over the years it made me also a faster walker. but he also know that i will be behind most of the time because I often stop to take photos. 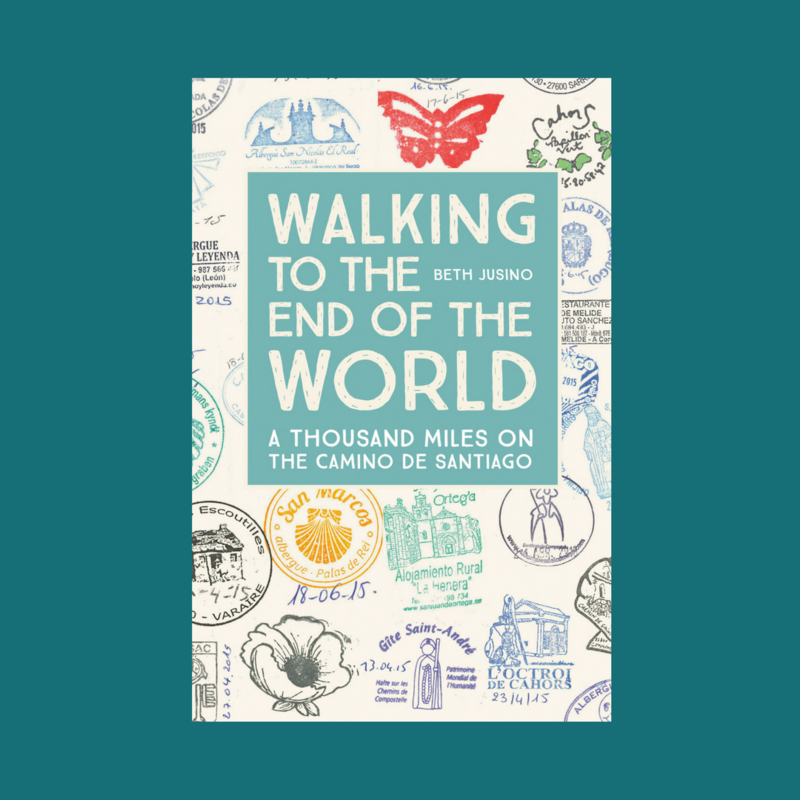 We talk a lot when we walk ( our best time to talk) but on the camino it is different. We also feel to be quiet . Walking together, be together 24/7 is one of the best thing for a couple. Having memories to this experience to share forever. We have been married for more than 25 years. Doing this kind of adventure is a gift for a couple. I enjoy your posts and try to come back as much as possible to read it all. And congrats on your book. I will order it very soon.